I’m so excited to share my thoughts about the Leaving Your Mom Legacy Devotional. This is a new 30-day devotional that was just released. It’s about reflecting and knowing Christ in motherhood. Kristina Gorr is the author of the “Leaving Your Mom Legacy” Devotional. She is super sweet and blogs over at Messy Tired Love. 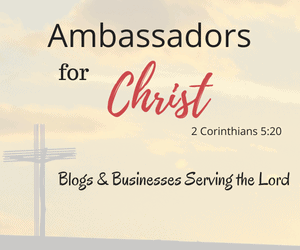 She has some great posts on her blog that you will want to check out. I feel so blessed to be a part of reviewing this devotional. It’s perfect for mama’s like me who are raising Godly children and keeping our eyes focused on Jesus. It’s a tough road and this devotional is such an encouragement for my journey. This devotional is very unique. Kristina uses the lives of eleven moms from the bible that have imperfections just like us. I feel like I’ve already known about these women but I never thought about them as moms or connected them to situations in my own life. It’s amazing to think that God used their imperfections to speak to us today. He is a God that loves us despite our failures. The Leaving Your Mom Legacy Devotional is a 30-day devotional but you will probably use it longer than that. Each day is really deep and can be thought and prayed about for multiple days. I use it a few days a week so I can take my time. I want to get the most out of it. I highly recommend this devotional for all women. While the title says “Leaving Your Mom Legacy”, I feel that it can be used for all woman. There are women in my life that are not mother’s that have great wisdom to share with me. They could definitely use this devotional to pour into other woman and moms. This devotional is available on Amazon. You can get the print version or the Kindle version. I have the Kindle version and love it. You can definitely benefit from either version. Click this Leaving Your Mom Legacy Devotional link to get your copy today! Just so you know, I was provided a copy of this devotional free of charge. I love this devotional and would only share my honest opinion with you. Receiving this item for free does not influence my opinion of this devotional. I pray that it blesses you the way it has blessed me. Do you have a devotional that has truly blessed you? I’d love to hear about it. Thank you so very much for your kind words! I’m thrilled that God has used this devotional to touch your mom life. To God be the glory! <3 Thank you for being a part of the launch team! Thank you for the devotional! It’s such a blessing.